A new app helps people who are struggling to live an opiate-free existence. When you are addicted to opiates such as heroin, it’s difficult to build or maintain supportive relationships with others. Family members and friends are known to abandon their opiate-using loved ones due to the type of behaviour opiate addiction is known to cause. However, social isolation caused by dis-owning opiate using friends or family members actually makes it even more difficult for these people to break away from opiate addiction. When you lack a support network, it’s difficult to separate yourself from addiction triggers that keep you fixed in the cycle of opiate addiction. 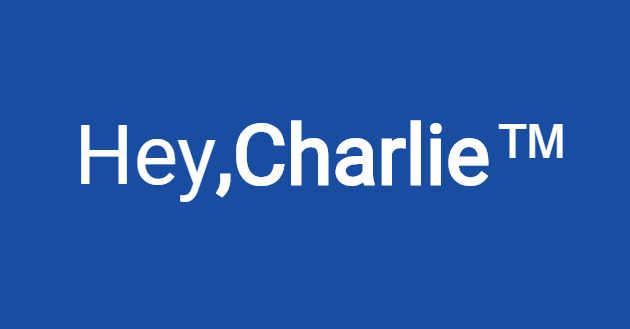 This app, known as Hey Charlie, was developed by Emily Lindemer, a PhD student at MIT. Lindemer developed the app to assist people who are already in recovery for opiate addiction. The app is thus not suitable for people who are yet to complete a drug detox of some form. The app helps those in recovery to better keep on track of text alerts sent during vulnerable moments. If you are recovering from an opiate addiction, it’s likely your social circle consists of a mixture between those who continue to abuse opiates and those who do not. The app helps you to slowly distance yourself from those who continue to use drugs. When you initially download the app, you will be presented with questions that help the app build up a psychological profile for the people you have stored as contacts in your smartphone. If the app deems certain people as having a negative impact on your recovery, it will slowly discourage you from making contact with these people in the future. This could include people who do not directly encourage drug use but who are nevertheless a source of stress in your life. The app also asks you to list certain locations that you believe could present a relapse risk. These locations typically include places where you may have used drugs in the past or places where you are able to buy or otherwise acquire drugs with ease. The app these places as ‘risk-prone’ areas. When you physically approach an area you have marked in the app as ‘risk-prone’, you will automatically be sent a notification to warn you. The app does not discourage you from visiting these locations. Instead, it merely warns you to be mindful of the fact that you are entering a location that could pose a threat to your recovery. The app will also send you positive messages throughout the day. People in recovery are well known for their affection for positive messages such as quotes and short poems, so we feel this is a valuable addition to this mobile app. Data is fed back to the app developer. This allows the data to be analysed and then sent back to users in a way that allows users to see how they are communicating with. This data may reveal users are spending too much time communicating with people who are having a negative impact on their recovery. Knowing this gives users a goal in terms of decreasing the amount of time they are spending communicating with people who are not having a positive impact on their recovery. All data is encrypted and anonymous. Our initial testing of this app has convinced us that it does have a positive impact on people looking to maintain their recovery. The app achieves this by helping people stay focused on their recovery goals, particularly once they have first been discharged from a residential rehab clinic when the urge to relapse is at its peak. In time, we are confident apps of this nature will become a staple of relapse prevention best practices. A large-scale clinical trial is yet to be carried out, although we are convinced that such a trial would validate the use of web apps in the relapse prevention process. Apps such as Hey Charlie are of use if you have already undergone a detox. If you wish to locate a suitable drug detox, get in touch with Rehab 4 Addiction today on 0800 140 4690. We work with more than 80 drug rehab clinics across the United Kingdom and our free telephone assessment helps us to put in you in touch with a suitable clinic in your local area.